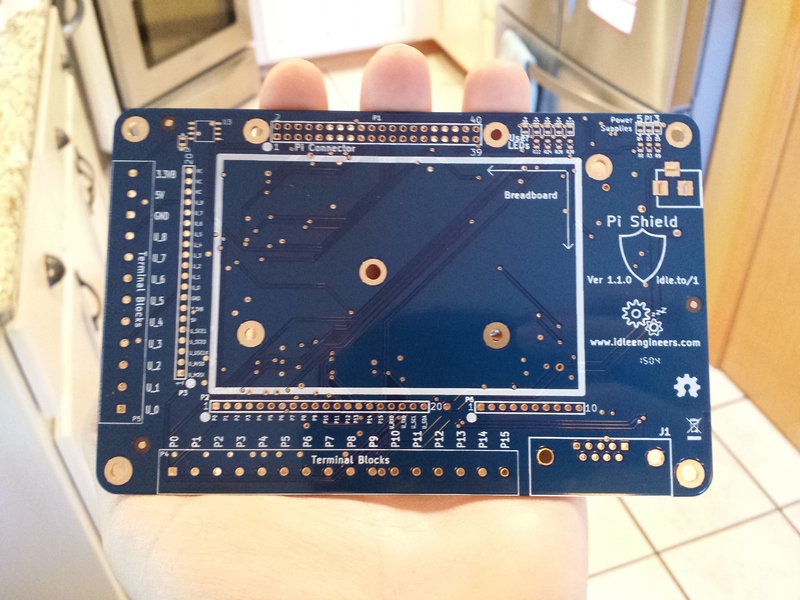 We received our order of the Pi Shield 1.1.0! We were very excited to start testing the new design since it included many updates. Aaron started with the power supply and quickly noticed a problem. After some troubleshooting, we found that the ground plane had been shorted with the 5 volt supply. We double checked all our design files, but everything was in order and passing in tool tests. Next we reviewed our fabrication files and found that one of the layer files was from a previous commit had been mixed in, causing an overlap in a power trace and the ground plane. Needless to say, we were disappointed to have made the mistake. We haven’t let this little glitch slow us down! We have corrected our mistake and ordered Pi Shield 1.1.1. ← Pi Shield for Raspberry Pi — 2?